Posted by thegulfblog.com in American ME Relations, China. I discovered this graph over at silkroadeconomy.com the always excellent blog of Ben Simpfendorfer. 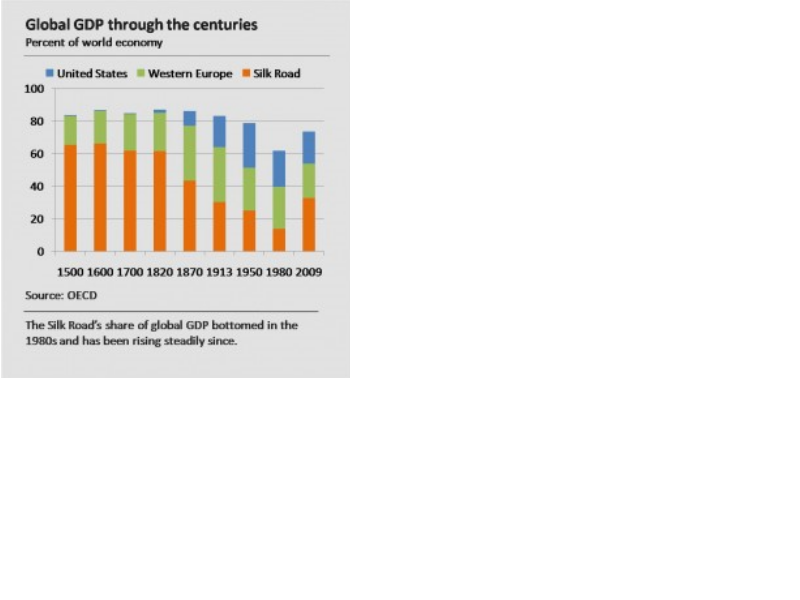 It shows – as I am sure you can read – the relative wealth/GDP of the US, Europe and of the ‘Silk Road’. A useful counterfactual, I think, against instilled notions of Western hegemony.